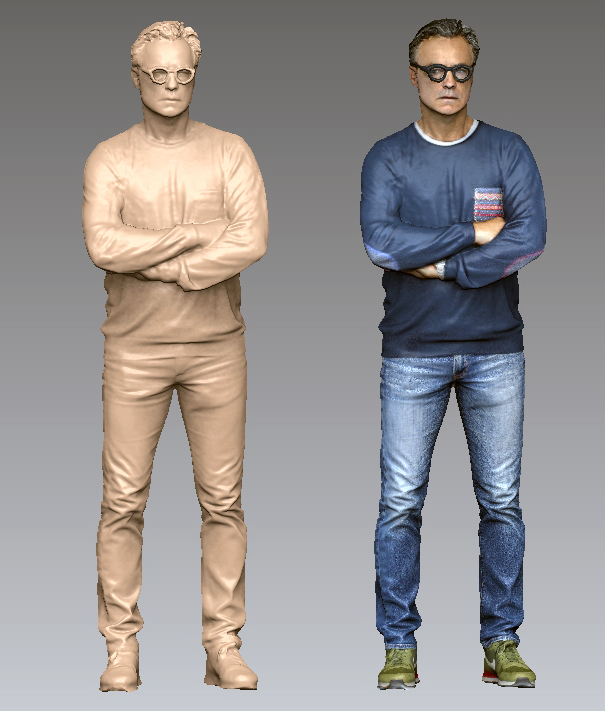 3D SCAN FULL BODY AND BUST – ONLY £149! Your scan is of excellent quality and great value at only £149. 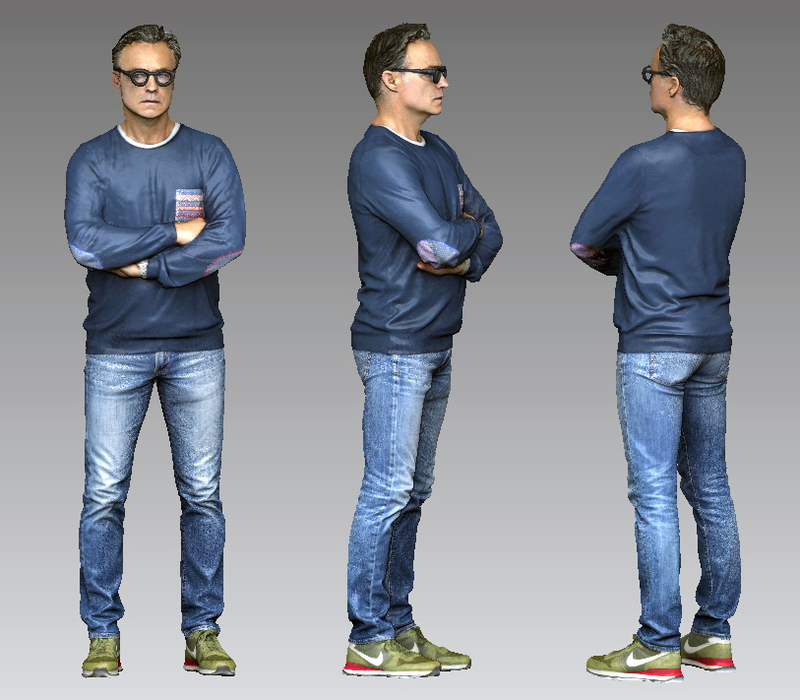 We use a photogrammetry process which is completely harmless and consists of several hundred pictures stitched together to form a 3D file and a colour texture. After visiting our premises and completing the scan you will be given an internet address where you can download and view your file. 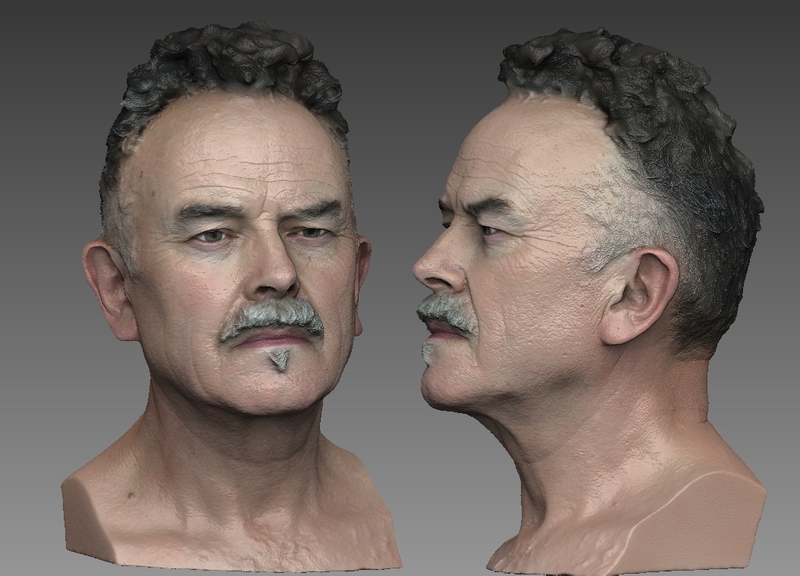 The file can be downloaded as an OBJ with colour as well as a printable STL. Please do not wear black or shiny fabrics as the software will not be able to resolve the file easily. PROCEDURE The whole scan takes only a few minutes of your time. We will take lots of pictures and then build a 3D model from them. It’s a relaxed affair and you only stand still for a minute. 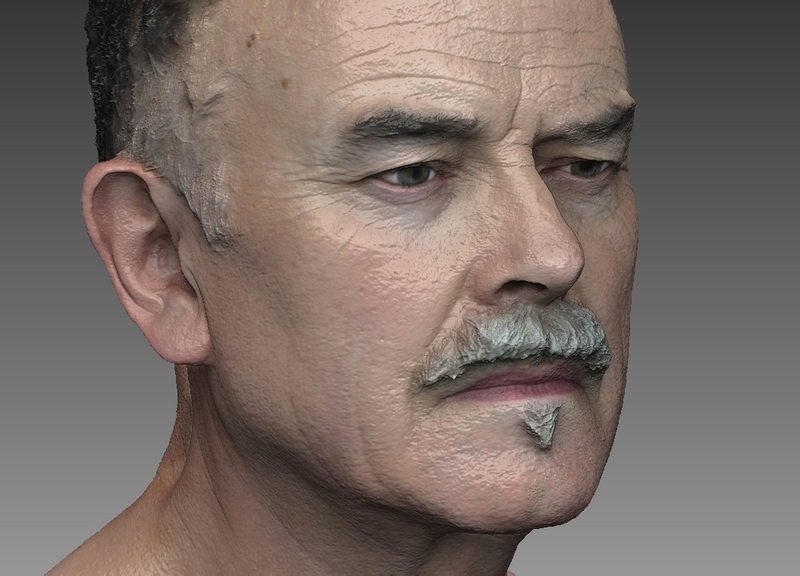 Hang around for a few more minutes, have a coffee and then see yourself rendered on the screen. Now you can go away happy that the scan has been a success.